"Birding is experiencing life. Birds are always around you. No matter where you are you can always hear or see a bird. They're just this fixture of life around you." 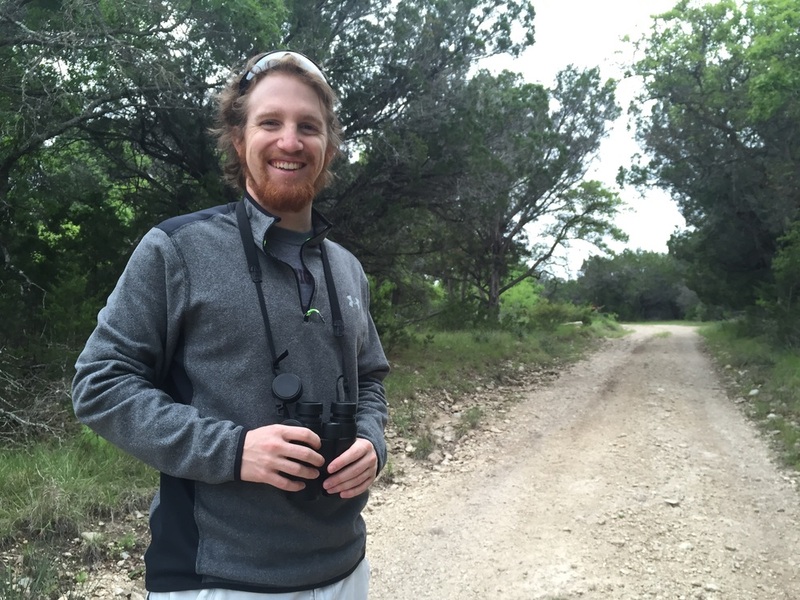 I met Danny while quickly driving through South Llano River State Park. It's rare for me to meet birders my age in the field, and I had to take advantage of the opportunity to bird with them and try for the Golden-cheeked Warbler. I certainly wouldn't mind seeing it again! The time quickly passed as we talked and shared stories, excitedly pointing out species new to Sarah, a smily and enthusiastic college student who joined Danny on the morning's quick jaunt. Although we didn't see the Golden-cheeked, I was thrilled to spend some time with this duo from Texas Tech and hope our paths cross again down the road!